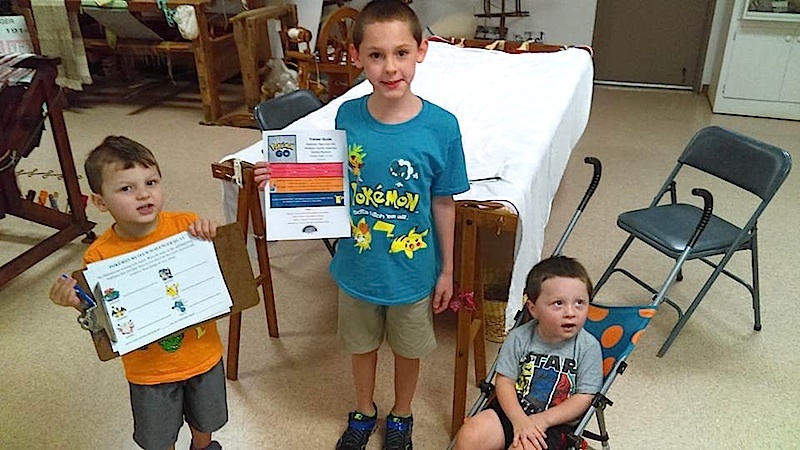 More than 50 people showed up for the Society's first – and perhaps, not last – Pokémon event at the county history museum in Union. Pokémon Go, the free mobile app uses a phone's GPS data and camera to place Pokemon characters amid the real world has become a worldwide phenomenon. Encouraging players to walk and explore the many historical buildings – including those on the museum campus – was a no-brainer. The museum campus, located at 6422 Main St. in Union. 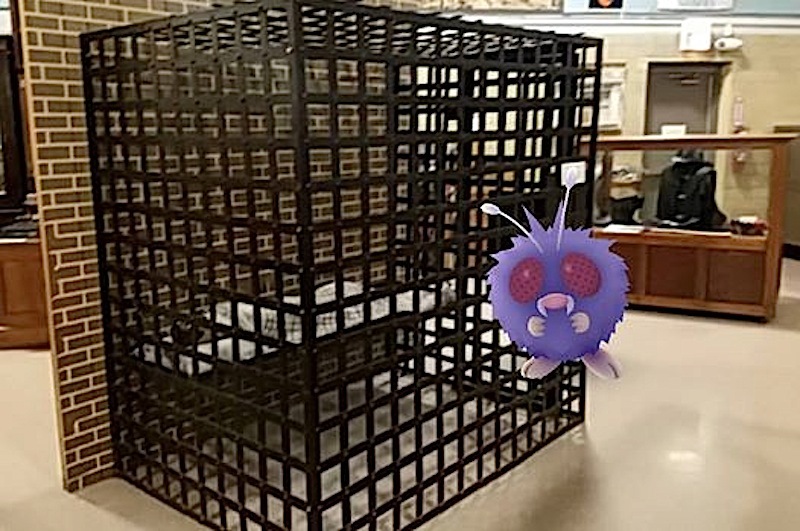 has five "PokeStops" – the main museum and its sign, its annex building, West Harmony School, and the bell. Once located, players – who use avatars called "trainers" – "capture" the characters with their phones. Pokémon trainers received free admission to the museum and free Wi-Fi. A charging station also was available inside the museum. Visitors not only went on a scavenger hunt for Pokémon. They were able to battle other trainers at the three virtual "gyms," within walking distance of the museum. The Society also awarded a "Historic Country Schools of McHenry County" history book to a participant who posted the hashtag #MCHSPokemon. For additional information, visit www.gothistory.org or call 815-923-2267.